One standout feature on the new 2018 MacBook Air is Touch ID. That arrives thanks to the T2 Chip, which not only handles biometric authentication, but also SSD encryption, Hey Siri support and more. Neither of the other MacBooks that we're comparing have Touch ID, which is now limited to the new MacBook Air and Touch Bar MacBook Pros. 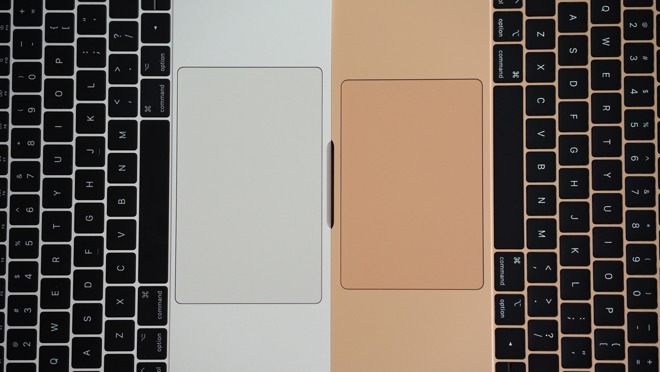 Comparing the size of the new MacBook Air to the previous model, it's easy to see that new version is quite a bit smaller, both in length and width. As far as the weight, the new Air is a quarter of a pound lighter at 2.75 pounds. 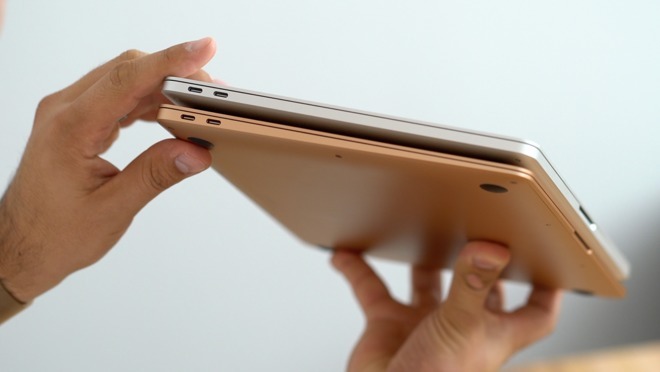 At its thickest point, the new MacBook Air is around the same thickness as the previous MacBook Air would be if its display was removed. The Air extends out a little bit longer than last year's model, so its thinnest edge is slightly thinner. Apple's push to streamline Mac I/O ports continues with the new Air. 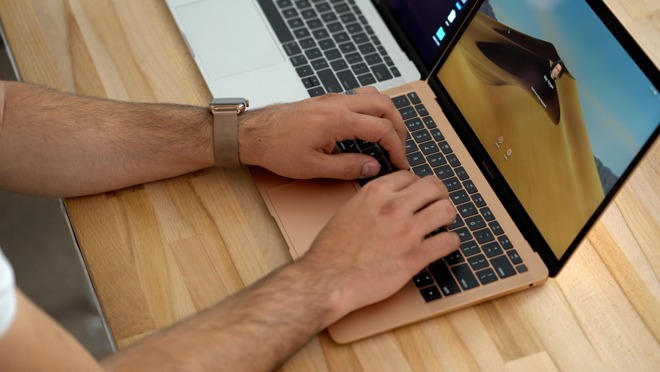 The older MacBook Air has an abundance of ports, including an SD card slot, a Thunderbolt 2 port, two USB-A ports, a headphone jack and of course, the MagSafe connector, while the latest iteration is identical to the Pro in that it nets two Thunderbolt 3 ports and a headphone jack.